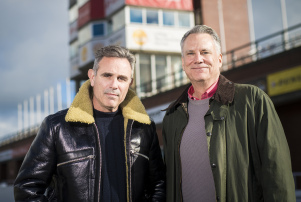 EXCLUSIVE: Fast N’ Loud and American Chopper producer Pilgrim Media Group has teamed up with Digital Circus, run by former Discovery Channel President Clark Bunting, to produce a range of programming around the Isle of Man TT, often called the most dangerous motorsports race in the world. 2019 marks the TT’s 100th races and will see motorcycles blasting around the 37-mile road circuit, which includes steep seaside hills with tight corners and woodlands dotted with historic castle ruins, at close to 200mph. Nearly 150 people have died since the first race in 1907.